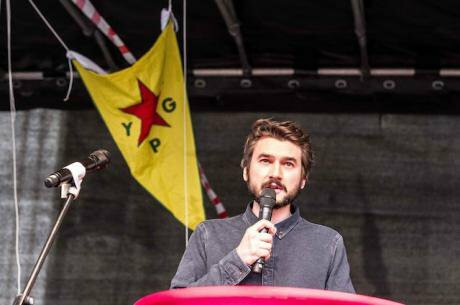 The first time Roni ( a pseudonym) came home to London after his 8 months as a medic for the anarchist Kurdish YPG/YPJ in northern Syria, he was nervous. If it wasn’t to see his closest Kurdish friend — a filmmaker for the same forces — laid to rest in Highgate Cemetery, he would have never boarded the plane. James Matthews’ charge was more direct. The crown suspected him of being trained on a military camp "for purposes connected to the commission of preparation of terrorism". They argued that the same camp was run by the PKK. The prosecutor did not cite evidence to support the claim and gave no reason when the crown dropped the charge. Of the three countries, Germany has the least contact with the SDF and the closest relationship, historically, with Turkey. Its participation in the US-led coalition in Syria is mostly symbolic, while it continues – despite a current temporary hault – to sell Turkey arms and tanks that it used in its offensive in Afrin. Germany also leans on Turkey to keep its 3.5 million Syrian refugees on their side of the shore – and hosts the largest and most politically active Kurdish diaspora, the one most represented in the YPG/YPJ forces.